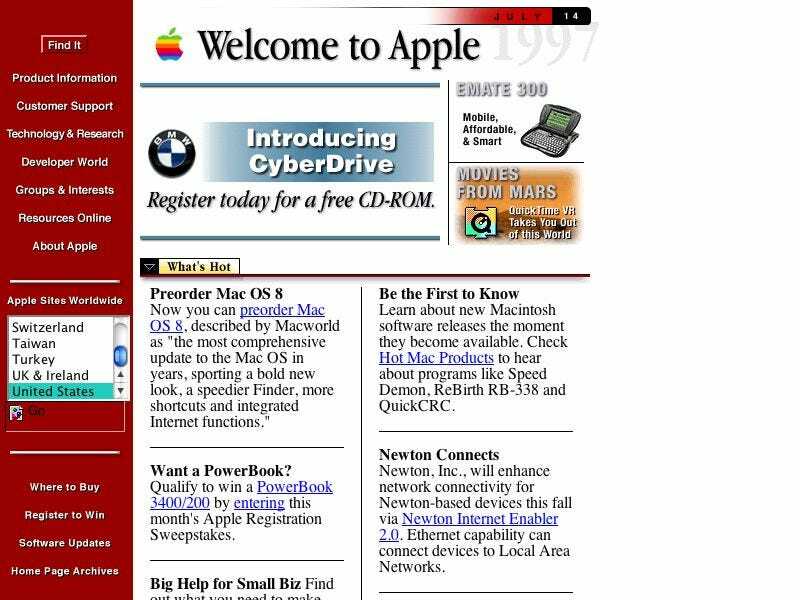 Digging through websites cached from the 90s is akin to seeing a celebrity's high school yearbook pictures—during the early, awkward years of the web, brave companies made a stab at winning consumer hearts through 15" CRTs and 14.4k dial up modems. Inspired by this MSU page, we decided to take a gander through the Internet Archive's Wayback machine (a service that started saving pages in 1996). Needless to say, we found some funny stuff.